"United for a Culture of Peace Through Interfaith Harmony SOPP (Symphony of Peace Prayer)"
You are invited to take part in this unique and uplifting occasion featuring distinguished speakers, musicians, and representatives of diverse religious traditions, plus a participatory call to peace in a World Peace Flag Ceremony. Included in this event are an interfaith prayer ceremony, which is being called ‘Symphony of Peace Prayers,’ and a flag ceremony to pray for peace in each country and region of the world. 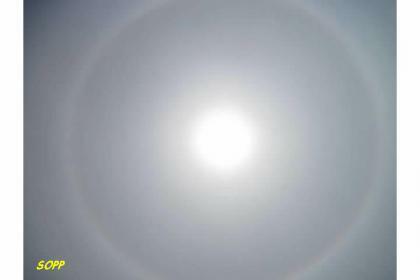 *In Japan, it will be 2-15-2013 0 am - 3 am. In US West coast, it will be from 7 am to 10 am. 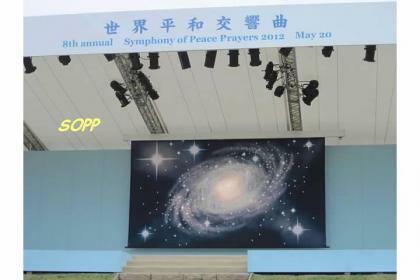 *SOPP (Symphony of Peace Prayer) is an event started by Byakko at Mt. Fuji since May 2005 every year to pray for world peace regardless of religion. 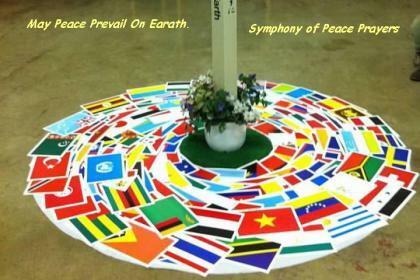 Internet prayer marathon is held that day worldwide, and more than 50,000 people pray for world peace. At Byakko Los Angeles dojou, we will gather for Live TV from 7 AM to 10 AM on 2-14-2013. Please join us. SOPP at Mt.Fuji in 2013 will be held on Sunday, 5-19-2013. This SOPP will be held on St. Valentine's day. Please join on-line just for 20 to 30 minutes, if you like. If 8,366 people pray at the same time, our planet Earth will be in peace. SOPP scenes of May 2011 was shown more than 10 times in the movie, "INORI", directed by Tetsu Shiratori. Please be a part of the "INORI" prayer.